vendor applications now being accepted! THE FESTIVAL OFFERS A PROMENADE OF BEVERAGES AND CULINARY DELIGHTS TO BE SAMPLED AND PURCHASED BY THE VISITORS FROM HARKER HEIGHTS, KILLEEN, FORT HOOD, TEMPLE, AUSTIN, COPPERAS COVE, WACO, GEORGETOWN AND BEYOND, WHILE LISTENING TO HOT SUMMER SOUNDS BEING PLAYED FROM THE SHADY HILLTOP OVERLOOKING THE VENUE. only 1000 more bottles to go! 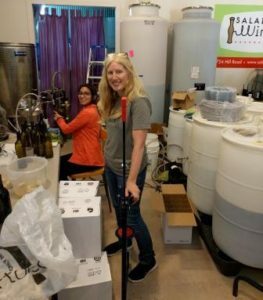 We bottled the 2015 Big Bully the other day! 1367 bottles of wine in about 9 hours (including a stop for lunch!). Not exactly a record breaker, but we were happy to finish in one day. We bottle from the 300 gallon tank which is directly behind my head in this picture. We used a new set up, based on the enolmatic, but this time with two filler spouts, a new vacuum pump and using a 5 gallon carboy for the overflow tank. We love our enolmatic, but it is wearing out after several years of good use. In this picture I am standing next to the manual corker. Yes, we corked every single bottle by hand! This wine needs to age, in the bottle for a couple months. We expect to release it fall 2017. The grapes are from 3 Texans Vineyard. The wine is 73% malbec and 27% tempranillo. 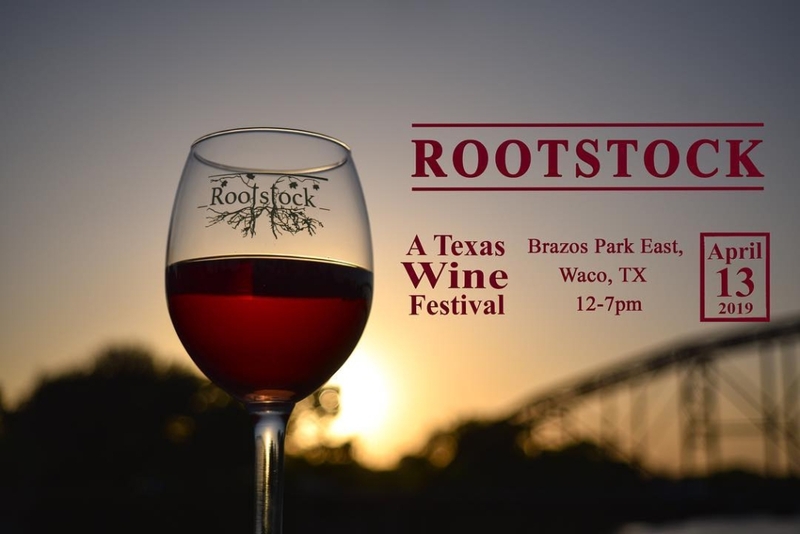 Rootstock: Join us for second annual TEXAS ONLY wine festival in Waco, TX at Indian Springs Park. We value all things Texas, and inspire to grow Texans’ wine knowledge. 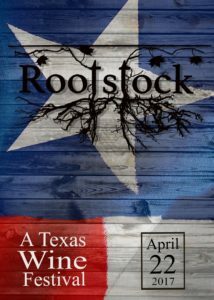 This is a one day event featuring over 18 Texas wineries. 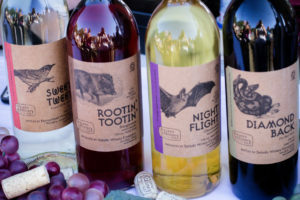 Come taste your way across our state and connect with new wineries. 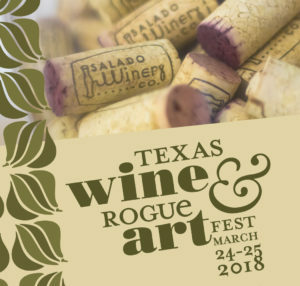 TX Wine & Rogue Art Festival 2017 – Now Pre-Selling Tickets! This is the 9th year for this festival, but it is the first time we will be pre-selling tickets! When you arrive at the festival, you will go to our “Will Call” line to check in. We will check your ID and issue you your tasting glass, tasting tickets, and festival guide. Join us for a wonderful afternoon of wine tasting and art! Featuring 20 wineries, a tremendous viewing of artists and their works from around Texas, and, of course, delectable foods. Will the wine be for sale? YES, bring money! We take cash, AMEX, Visa, MasterCard, and Discover. We do not accept checks at the festival. For lists of artists and vendors, schedule of activities and more, check out www.saladowinefest.com and our facebook event page. Yes! There will be plenty of walking, so strollers for young’uns is advised. Sure! Please keep the dogs on a leash though. Last year we had a parrot as well. No cats though – Winery Cat, our resident feline, would get jealous. It is free and open for anyone to walk around the festival. You must be 21 to taste wine and you MUST show a valid ID. If you buy tickets online and then show up with no ID to prove you’re 21, we will not provide a tasting glass or tickets. Please remember your ID! https://saladowinery.com/wp-content/uploads/2017/02/2017-wine-festival-banner.png 80 300 June https://saladowinery.com/wp-content/uploads/2016/08/HeaderLogo_Color-1.png June2017-02-13 17:37:212017-03-28 18:19:44TX Wine & Rogue Art Festival 2017 - Now Pre-Selling Tickets! Join us for the ultimate girls day! 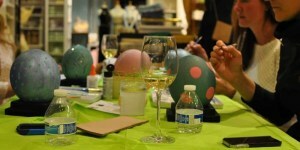 We’ll decorate ostrich eggs for Easter while enjoying wine and quality time spent being crafty! Join us and receive a cleaned ostrich egg, decorations, paint, egg dye, and a free glass of wine from Salado Winery. Feel free to look up designs on Pinterest before you come and bring some of your own decorations if you’d like. Classes will be lead by our favorite entrepreneur and small business coach, the owner of Bangarang Consulting. Tickets sales have not yet begun, but sign up for the WAITLIST here to be notified when tickets are available for sale! Tickets will be $45. We’ll be open every day throughout the holidays (12-6 daily) except the following days.. 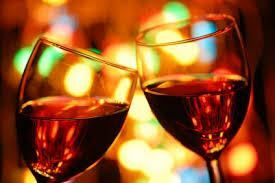 Here at Salado Winery, we will have a wagon ride available 5-9 pm Friday and Saturday evening, December 9-11. The Salado Christmas Stroll is noted for shopping all day and into the night for all the people on your Christmas List where you will find the unique and one-of-a-kind items only Salado can offer. Food and drink at local establishments and from various vendors will provide varied and delicious offerings for any hungry tummy. Music can be found in the Village and in many establishments with strolling carolers and instrumentalists. Three easily locatable “Entertainment Hot Spots” will be placed along Main Street featuring daily back to back entertainment for your listening pleasure.